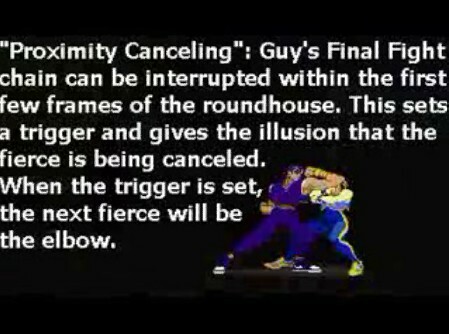 Guy's Final Fight chain can be interrupted within the first few flames of the roundhouse. This sets a trigger and gives the illusion that the fierce is being canceled. When the trigger is set, the next fierce will be the elbow.